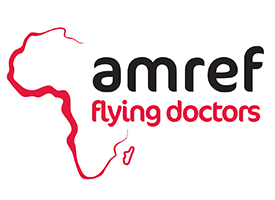 AMREF Flying Doctors is the leading public health NGO in Africa. Amref Health Africa is the largest African-based nonprofit that delivers health services to over 30 countries on the continent. Amref Health Africa was originally founded in 1957 as the Flying Doctors of East Africa by three surgeons who flew light aircraft to bring emergency health care to remote communities.Today, our work is now focused on training health workers at all levels and strengthening community health systems. We use African solutions to tackle critical African health challenges with African expertise. Over 90% of our staff working on the ground is African. This website is 100% secured. All bank account information is secured and is not kept in our computer system. The reliability of your internet transactions is guaranteed through SSL encrypting of your bank account information. To be sure : once the AMREF URL starts with http, the page is secured. Our donators’ service is available anytime to answer your questions.